Multiple Offer Deadline is 3:45 pm on 1/31/2019. This is a Fannie Mae HomePath Property. 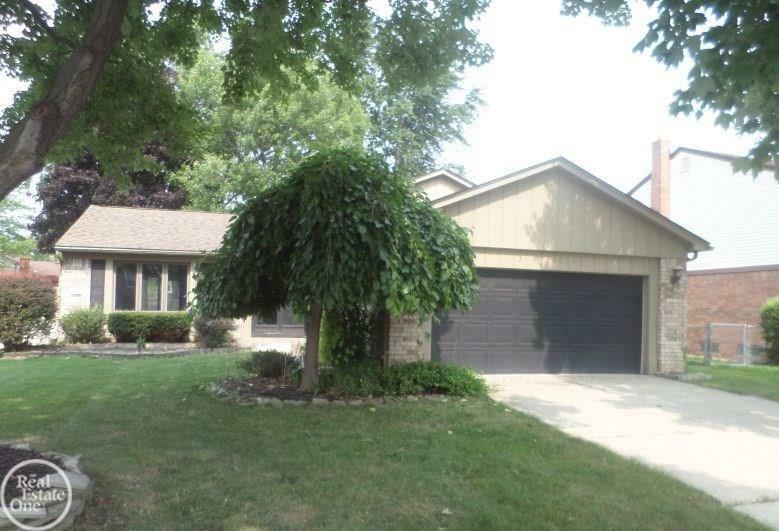 3 bedroom, 2 bath quad level home with attached 2 car garage. Kitchen w/ceramic floor, ceramic splash, crown moldings & wood cabinets. Formal dining room w/ceramic tiled floor & doorwall to rear deck & fenced yard. Lower Level "L" shaped Family Room w/natl frpl. Master bedroom w/double closets & access to main bath. Laundry Closet. Lower Level Full Bath w/stall shower. Sump Pump. Utica Schools. Quiet Street.